Amal Awad reviews Susan Abulhawa’s moving new novel, ‘The Blue Between Sky and Water’. 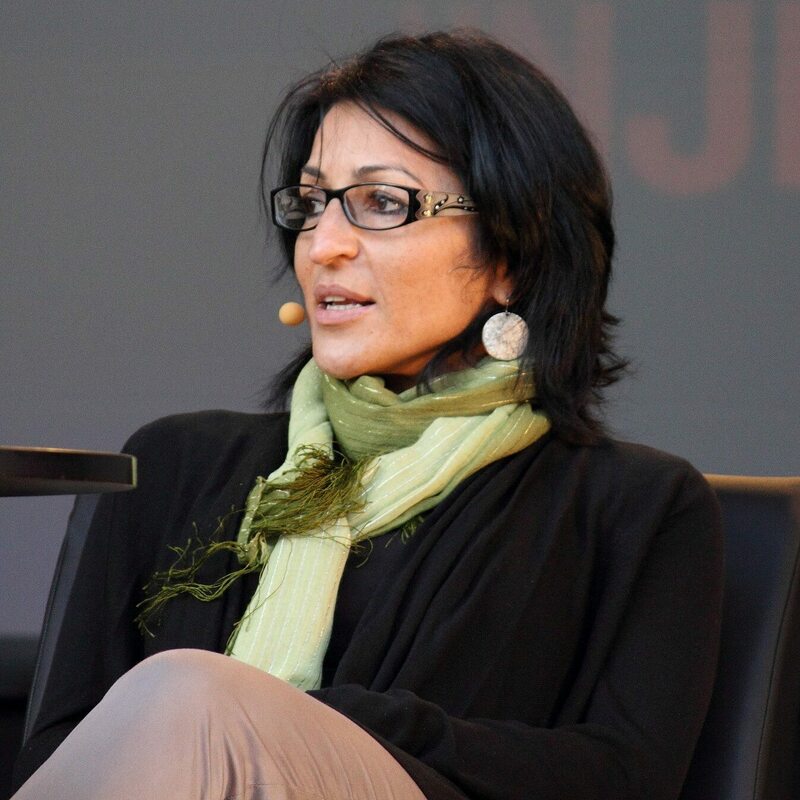 Author Susan Abulhawa takes a new approach to Palestinian storytelling. There is danger in thinking that a single story tells the lives of many. Perhaps more dangerous is an absence of stories altogether. In the west, we’re only starting to acknowledge that there is a singular, ‘white’ story that we see in pop culture. For people of colour, the stories are similarly tinted – downtrodden, marginalised, ancestral tales that comfortably feed notions of otherness. 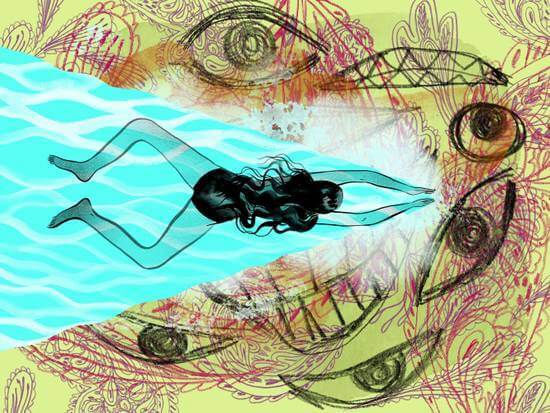 There is no room for the heroine of an everyday story to be a person of colour. We are the supporting characters. This is changing though. More importantly, there is room for stories by people of colour that meet somewhere in-between. This is particularly true of the Arab world. You might argue that Palestine’s mythos is well documented. Its shattered history is the stuff of legend – poetry that seeps sadness at every stanza; the weight of loss inhabiting the stoic works of Edward Said and the academics who followed him. We write a lot, and we do it well. But there’s an emerging space, a new breed of storytelling that is propping up Palestine like a living, breathing human being. It’s in the cinema of Suha Arraf, and Cherien Dabis. And it’s in the narrative of authors like Susan Abulhawa. They are not humanising Palestinians or Palestine – they are insisting on their normality, refusing to make a people’s relentless pursuit of justice the definition of their being. Abulhawa is well-known for the success of her novel Mornings in Jenin. 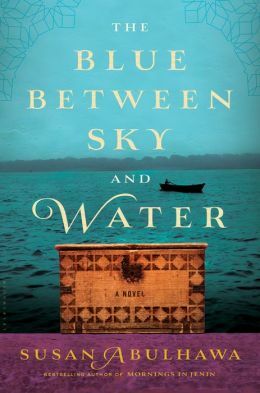 Her newest novel, The Blue Between Sky and Water, is another moving portrayal of what lives can look like when they exist amid turmoil and occupation. As it turns out, despite extraordinary challenges, they can be quite ordinary. That is to say, the desires of humans – primal and basic – don’t really change. Moreover, what Abulhawa successfully does is refuse to make occupation the primary player in her stories. It just exists, playing its part in a story’s journey as a protagonist, not the hero. The Blue Between Sky and Water is a tale of generations, anchored in the voices of more than one character. When the Israeli invasion of 1948 forces a Gazan family from their farming village of Beit Daras, they become refugees, and their lives are instantly changed. From there, we follow the tragedies and minor joys of Hajje Nazmiyeh, her brother Mamdouh, and his grand-daughter Nur, whose own tale is interwoven with that of Hajje Nazmiyeh’s grand-son, Khaled. However, there is purpose to it, and the power of Abulhawa’s assured prose and the stories of her characters overtake any gripes with narrative threads. It all does come together eventually. The book is essentially a saga – a poetic one, at that, and one that fits very comfortably amongst its peers in modern fiction. That’s perhaps one of the most exciting and progressive elements of this story. It is not emphatic propaganda about Palestine and its people that demands attention; it quietly acknowledges the wholeness and reality of lives that, despite crushing losses, refuse to die – because for many, death is not a nail in a coffin, but the loss of emotion and feeling. You can be assured that Palestinians have not lost their feeling. Quite beautifully, this novel is a testament to this, without explicitly declaring it. Moreover, it’s an unapologetic depiction of life under curfew; the heaviness that comes with boundaries and checkpoints; what it’s like to float out into the ocean knowing you must stop before the point where its resources are plentiful. Gazans are fishermen, and the ocean is an important source of nutrition. There’s also a delicious Arabness to it all – the mysticism of djinn, the bountiful expressiveness of Arabs that doesn’t require translation, the power of Arab women. You’re drawn into the lives of several of them, and the men, while important, are not who you remember or think about. This is a story anchored in the lives of women. It’s proof of the volatility, sexuality and fears of ordinary mothers and daughters, their energies amplified by a corrupt world. These are women who do not live and die by their men. They are interesting, broken yet complete human beings whose everyday worries always overtake things like curfew and imprisonment. I don’t want to limit this story to one that “dispels myths”. It doesn’t. It is incredibly human and mystical, very much lacking the “mythical” like elements of, say, filmmaker Elia Suleiman’s films or Anne-Marie Jacir’s When I Saw You (though both are notable storytellers). But what we so often have with Palestine are ideas, not truth or reality. They are suggestions, questions raised – imposing ‘what ifs’ that query how much a human body and spirit can take before it gives up. When you read the stories of Palestine, they will tell you that the human body and spirit – at least those of the ones with nothing left to lose – can take a lot. At its heart, this novel is an epic declaration that “this land will rise again”, and it does it through its relatable characters, rather than defining them by an unjust occupation. Amal is a Sydney-based writer and author of three books. She recently followed up her debut novel, Courting Samira, with the sequel, This Is How You Get Better, and has also published a collection of columns and essays entitled The Incidental Muslim.